Score a goal at your next event with the Full Color Hockey Star Team Trophy. 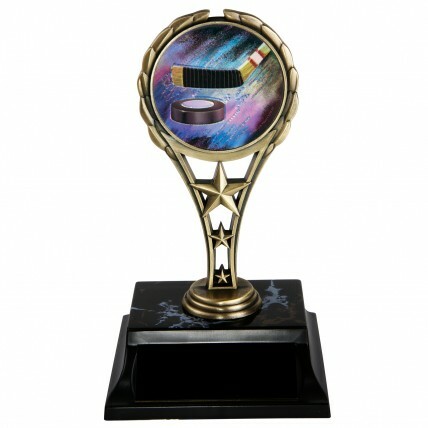 This award features a metal rising star trophy figure with an antique finish and a colorful insert. The insert depicts a puck and stick with a multi-color background. An interesting alternative to the traditional trophy!